2. We can ship to any P.O boxes and APO/FPO address .but the shipping will have to be via USPS.it takes more than 10-12working days, very slow. So we suggest you provide a physical address. 3. 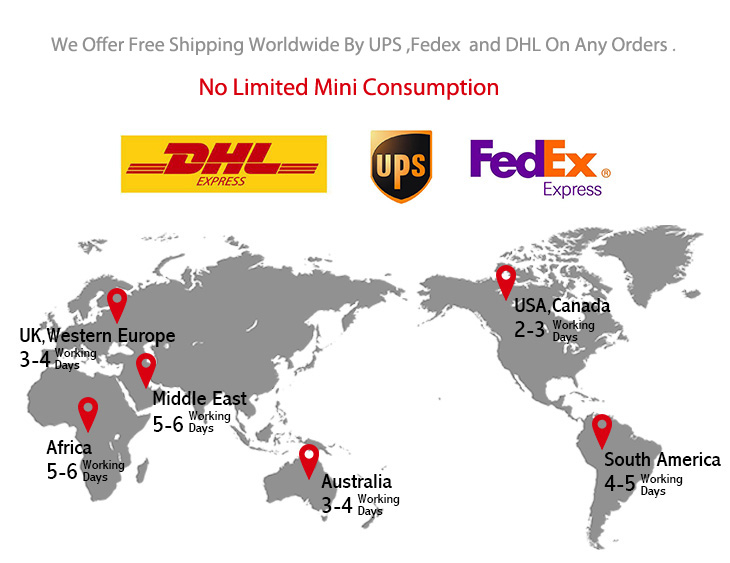 We ship all items stamped as "Gift" or "Sample" and written of low product value, so most customers can't be charged a customs fee by your local Customs government. But sometimes several countries such as Canada, Germany, South Africa, Brazil would charge some taxes which are not avoided.We will submit all documents to help you go through the Customs. The tracking number will be attached to the email.